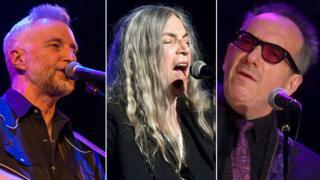 Elvis Costello, Patti Smith and Billy Bragg are among the performers to play at an 11-day arts festival in Cardiff. Super Furry Animals frontman Gruff Rhys will also play with the BBC National Orchestra of Wales at the Millennium Centre's second Festival of Voice. Protest singer Bragg starts the event at the Millennium Centre on Thursday. 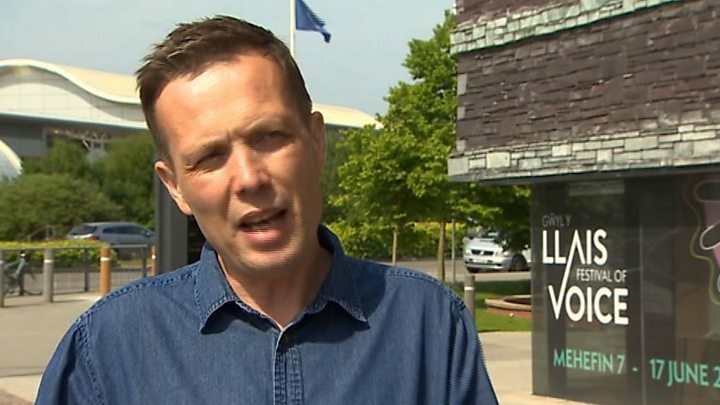 "This is an international festival of Wales," said artistic director Graeme Farrow, who wants it to become as big as the Edinburgh arts festival. The festival, which centres around the Millennium Centre in Cardiff Bay, will also include lesser-known acts and a Charlotte Church organised "line-up of voices from world music". There will be more than 50 events at venues around Cardiff, such as the New and Sherman theatres, Chapter Arts Centre and Clwb Ifor Bach, with acts such as Laura Marling and Welsh singer Gwenno. Welsh singer Rhys will premiere his new album at the Millennium Centre's Donald Gordon Theatre on Sunday backed by the BBC National Orchestra of Wales for a one-off live performance. American punk rocker Smith, a Rock and Roll Hall of Fame member, plays in the same theatre on Tuesday before British singer Elvis Costello closes the festival on Sunday, June 17. Event organisers want the biennial festival to become internationally renowned and on a similar scale to Edinburgh. "I would love to close the streets of Cardiff for the weekend and fill them with voices for free," said Mr Farrow. "Wales has so many amazing singers and Wales sing their national anthem better than anyone else, let's get out in the world and show everybody that. "When you think how Wales presents itself to the world, that is a wonderful calling card to people."